From exploring geology to getting stuck absorbed by local history, New Jersey offers its families a wide range of educational and fun activities. Fun is definitely the keyword when it comes to enticing kids of all ages to learn about history and the sciences, and the locations we’ve curated here all provide unique, hands-on activities for little ones of all ages. 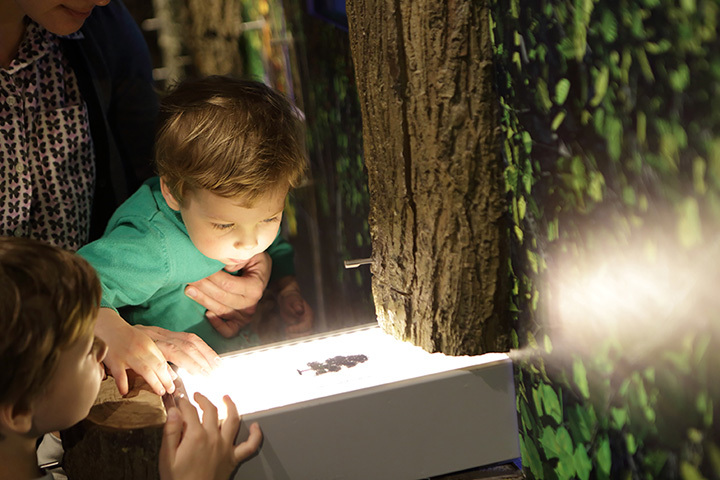 Insectropolis is a perfect educational outing, especially for little ones who love squirmy worms and creeping spiders. Not only can you pretend to be an insect, you can also see and touch live insects. Visitors of all ages will have the opportunity to learn more about bug life, and kids under two can go free with an adult! Liberty Science Center has a wide range of exhibitions focused on science and technology. Children will have the opportunity to learn about infectious diseases, the engineering of skyscrapers, and the Earth’s energy. For the littlest scientists, there is a fish tank showing organisms living in the Hudson River, Thomas the Train, and light boxes with vibrant colors. Hudson with the massive Thomas the Train set. Aquariums are always so magical for children; they allow kids to understand the vast diversity of the organisms and ecosystems found in the Earth’s waters. Jenkinson’s Aquarium holds Atlantic and Pacific shark species, penguins, seals, and even coral for children to see. There is also a touch tank where children can feel sea stars and other gentle sea animals. Each spring, Rutgers University opens its campuses’ doors for activities free to the public. Activities include hands-on science, art, and humanities led by professors and students. Diggerland is a construction park where children and adults can fulfill their dreams of driving in or operating diggers, tractors, and backhoes. There are also numerous military trucks and engineering challenges. Special modifications have been made to allow children as small as 36 inches to be able to operate some of the machinery with limited prior instruction needed. 🚨 🚨 GIVEAWAY!!! In honor of our newest list on the blog for day 🚘 trips, we are giving away a four pack of tickets to @diggerlandusa 🚧 to one 🍀 lucky winner!! To enter: 🚧 like this post 🚧follow @littlehoboken 🚧tag THREE friends who would love this prize too!! Good luck! Ends Sunday, 6/11, at 10:00 PM! Conveniently located just under 10 minutes from Manhattan, Field Station: Dinosaurs holds 32 life-sized, realistic dinosaurs. Children and adults alike will have the opportunity to see models of dinosaurs as well as learn about paleontology and geology. There is also a fossil dig site where kids can dig up bones and fossils, making them feel like real scientists. Thomas Edison National Historical Park preserves the famous inventor’s home and laboratory, illustrating the inventions that led to profound change in America and the rest of the world. The on-site library exhibits beautiful artwork and sculptures in addition to some of Edison’s many inventions. Purchase of the annual pass gives visitors more bang for their buck, too. If your curious child would like to learn more about birds, the Raptor Trust is the best place to take him or her. This bird rehabilitation center is one of the best in the U.S. as it has state-of-the-art facilities as well as an educational exhibit. Raptor Trust allows budding ornithologists to see hawks, eagles, and other raptors up close all year-round. In addition, no entrance fee is charged, although donations are appreciated to keep the facilities running. This open-air museum shows how rural life on a New Jersey farm was from 1890 to 1910. During your visit, you’ll have the opportunity to learn about who lived on this farm as well as the different farming methods used throughout the ages. Animal lovers will also have the opportunity to see sheep, pigs, horses, cows, chickens, and more. Perhaps best for slightly older children—school aged—the Sterling Hill Mining Museum allows children to dig right into Earth science, geology, and paleontology. This museum holds numerous fluorescent minerals from the New Jersey area as well as stunning examples from further afield. Tours are also on offer of the underground mine, and children and families alike can dig for rocks and fossils, learn about the Periodic Table of the Elements, and see historic mines. The #SterlingHillMine is a former iron and zinc mine in #Ogdensburg #SussexCounty #NJ. It was the last working underground mine in #NewJersey when it closed in 1986.